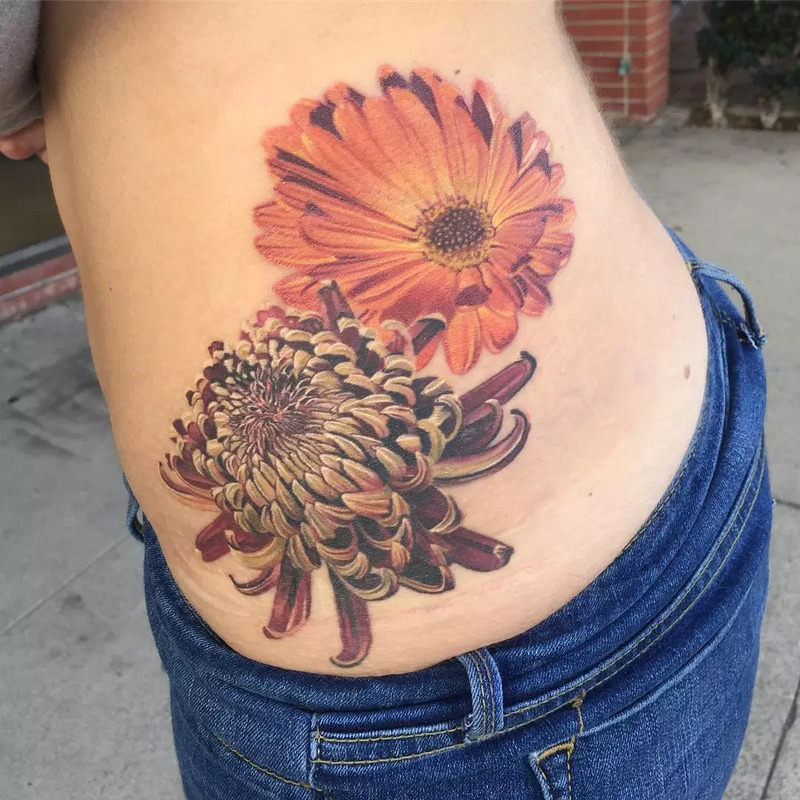 Chrysanthemum tattoo derives great inspiration from the chrysanthemum flower – an intricate and beautiful flower found in a variety of colors and styles ranging from simple to exotic. It is a symbolic tattoo that has been used for many generations in the Japanese culture. However, the versatility and beauty of this tattoo has seen it being adopted by other cultures around the world. This article provides a brief history of this tattoo and outlines the several meanings that it depicts. Take a few minutes of your time to read through and discover what I have in store for you regarding this type of tattoo. Where to Put The Tattoo? Who is The Tattoo for? 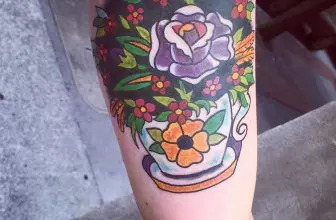 This tattoo has a history that is shrouded in several myths. However, it traces its origin from the ancient Japanese culture. It falls under the Irezumi – a traditional form of Japanese tattooing that sports inked characters inserted on the skin. The chrysanthemum type of tattoos started in the Edo period (1600-1868AD). Like most forms of Japanese tattoos, it was mainly used for spiritual and decorative purposes. The tattooing process was done by hand and the victims had to endure much pain. 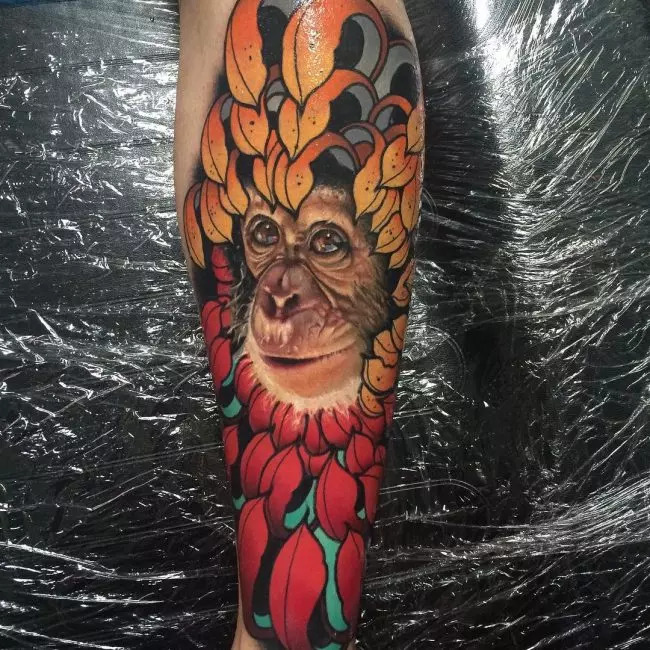 Just as the chrysanthemum flower comes in many different colors and styles, this tattoo was done in many different variations each having its own unique meaning. The designs were imprinted in the flesh using chisels and gouges. This created a permanent imprint that made the tattoo impossible to remove. The chrysanthemum type of tattoos were worn by people of all classes, both the wealthy and the poor. It had a great popularity that is still felt in the modern era. 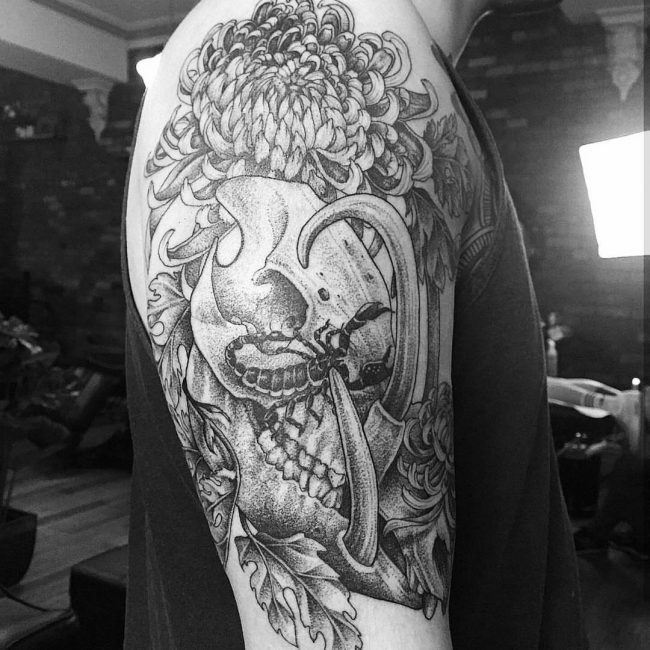 Almost every tattoo has a meaning, and chrysanthemum tattoo is no exception. It is known by many names, such as mum tattoos or pompon tattoos. Different people have different takes when it comes to this tattoo. Therefore it is no surprise that it bears different meanings that vary from one culture to another. 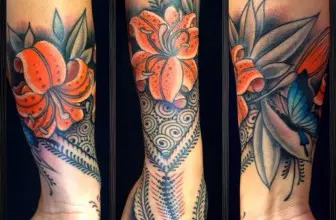 Let’s look at some of the meanings associated with this flower tattoo. In Japanese culture, this flower tattoo is sometimes associated with royalty. And in this case, the emperor, who sits on the chrysanthemum throne. It is no wonder that it has been adopted by the Japanese family as the seal and emblem of the emperor himself. Commonly referred to as the “solar flower” it is used to create the illusion of radiating flames emitted from the sun. Therefore in case you want to have some faked symbolic authority, chrysanthemum type of tattoos are the way to go. The chrysanthemum type of tattoos come in a full regalia of shapes and colors. 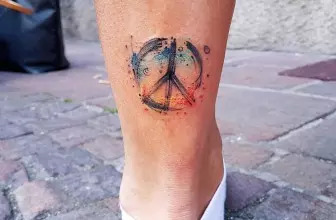 It is the attractive nature of this tattoos that has made them associated with positive emotions of joy, optimism, and hope. It is a more practical solution for displaying the positive emotions experienced in everyday life. Even in modern-day Japan, there is a National Chrysanthemum Day – a day that they celebrate the Festival of Happiness. This makes the tattoo a great choice for happy occasions, such as weddings or birthdays. This tattoo may be used to symbolize withdrawal and retreat. In Chinese, it means “wait” or “linger”. These two meanings make the tattoo a symbol of long life. Besides that, it bears a symbolic transition from life to death or a situation whereby one is between life and death. In China, Autumn is the season of the chrysanthemum flower. And for that reason, this tattoo is normally associated with Taoism. It symbolizes tranquility, abundance, and completeness that follows a harvest. Chrysanthemum type of tattoos come in many different colors, just like the flower comes in blossoms of different hues. Some of the colors are symbolic to love or affection a chrysanthemum tattoo that comes in white symbolizes pure love. This gives you partner an assurance of great loyalty. Just as we present red roses to the love of our life, a red chrysanthemum is a practical way of sending the message of love. It means love is in the air. Slighted love is symbolized by a yellow chrysanthemum. 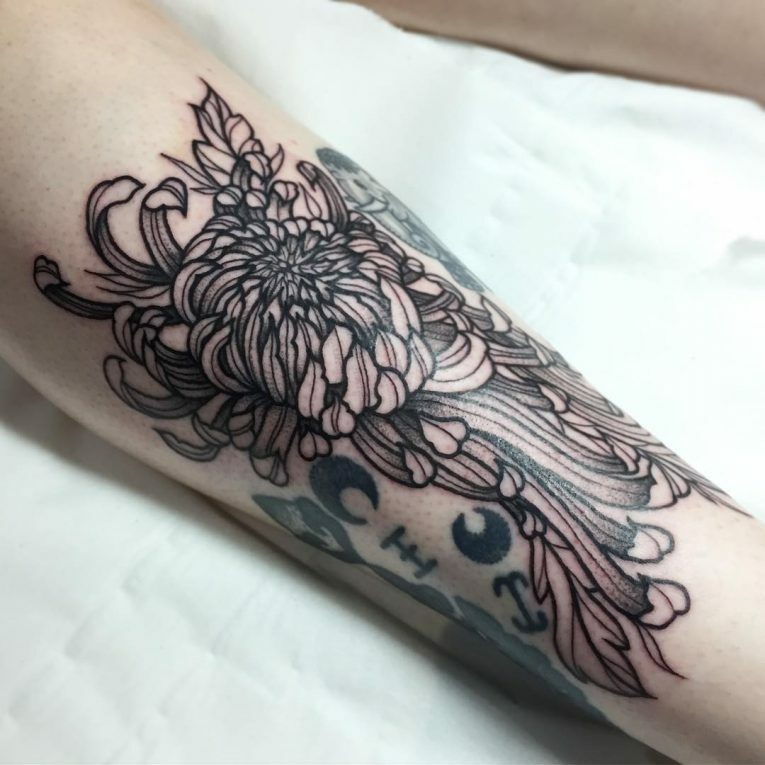 Therefore, the next time you want to display love and affection to the man or woman in your life, you can choose to do it with chrysanthemum type of tattoos. Unlike modern-day era, tattooing in ancient civilization was a process of agonizing pain. It required lots of courage from those that desire to wear them. Therefore anyone that sported a tattoo, including that of the Chrysanthemum flower was viewed as a person of great courage and bravery. It was mainly used by warriors to display the amount of pain they can take. This flower tattoo is placed on areas that are visible to the naked eye. Most people choose to put the tattoo on their back, shoulders , and arms. But it doesn’t really matter where you put it as long as it serves the purpose it was meant for. And it is not a must that you place this tattoo in its pure form. You have the option of pairing it with other images, such as a dragon tattoo or other type of flower tattoos. You may be wondering whom this tattoo is meant for. Well, Chrysanthemum type of tattoos are designed for everyone, kids and adults, men and women. Therefore there is no limitation regarding the type of persons who can wear this tattoo. Just find the purpose for which you want to put the tattoo and you are good to go. Chrysanthemum tattoo has a long history that dates back to ancient civilization. It is an intricate and symbolic tattoo designed to provide many different meanings. This flower tattoo has grown in popularity owing to its beauty and the fact that it can be used to pass different kinds of messages across. 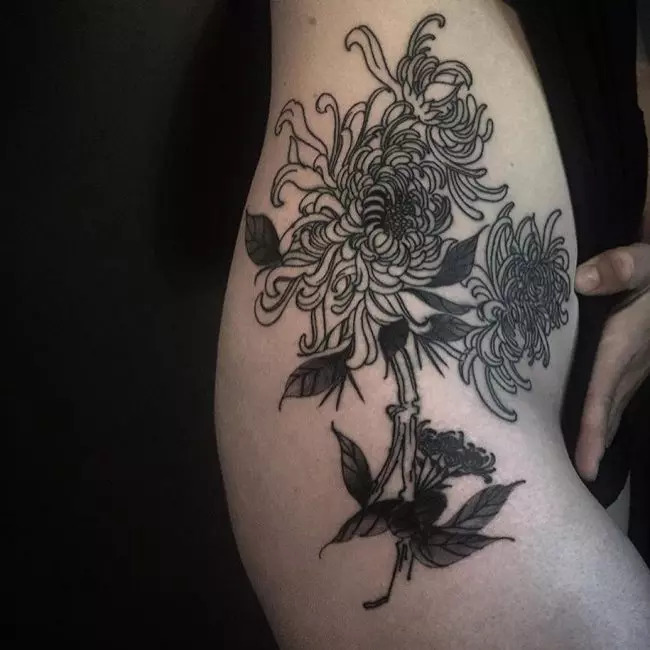 Like other forms of tattoos, it comes in many different forms to choose from and can be worn by just about anyone that has an affection for the chrysanthemum flower. Take your time to explore the different options available and decide which one might look best on you.